Supplements form an important part in preventing deficiencies in nutrition. These nutritional supplements for primates contain high levels of vitamin C. They also contain vitamins, amino acids and minerals to provide all the nutritional needs for primate species. Some vitamins are flavoured with banana to improve appetence. Vitamin supplements are ideal as a complement to a vegetable-based diet. Other vitamins contain Omega 3 fatty acids to prevent skin diseases. 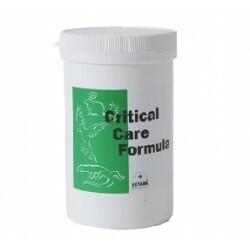 Vetark Critical Care Formula, for example, has been formulated for all animals whose metabolism is or has been disrupted (for example, after starvation, a period of anorexia, illness or after surgery…).